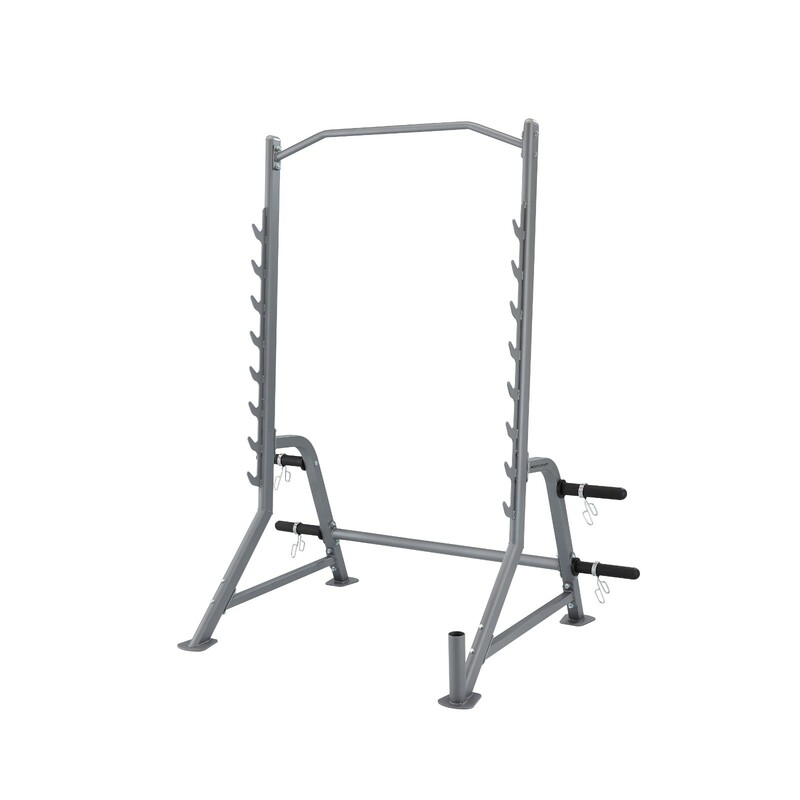 Together with a bar, you can do an effective workout on the Bodycraft Squat Rack . Do squats on the Power Rack or use it for bench press together with a weight bench. 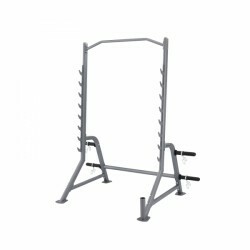 In addition, the Bodycraft Squat Rack provides a chin-up bar. The Power Rack is extremely stable. The barbell storages are mounted in 8 height levels and take bars of up to 360 kg. It is ensured by the sturdy steel frame and the careful workmanship. The Bodycraft Squat Rack even serves as barbell bar storage. On the sides, 4 storages for weight plates of 50 mm hole are attached and the barbell bar can be put down.